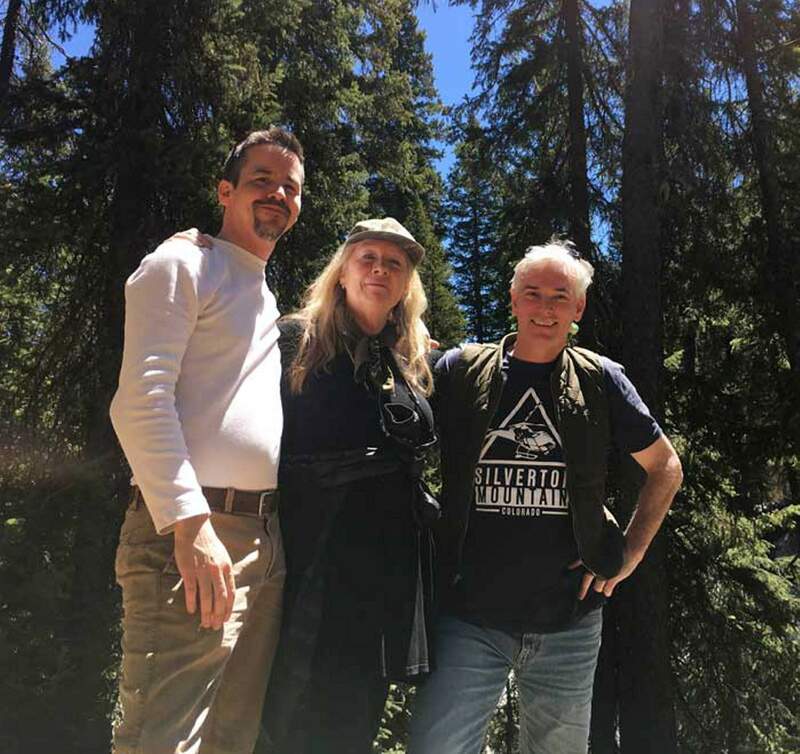 Co-founders of The Silverton Theatre Min, from left, are Matthew Vire, left, Judy Graham and Daniel Sullivan. 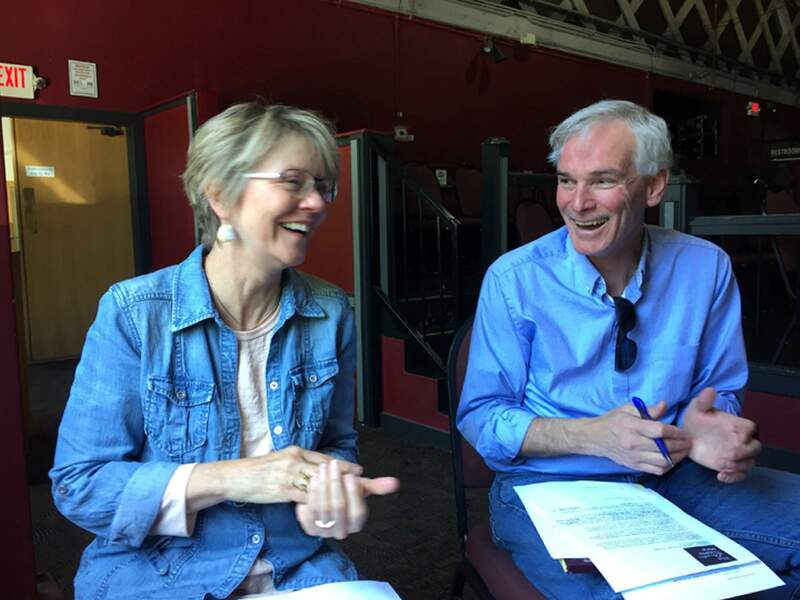 Silverton Theatre Mine Board Member Leigh Meigs, Durango legal mediator, clinical social worker, and playwright, left, and Daniel Sullivan, co-founder and artistic director of The Silverton Theatre Mine in a meet at Durango Arts Center. The Silverton Theatre Mine is a nonprofit organization that will host its first full festival of new plays June 7-9. Founded last year after a tentative launch sponsored by Silverton’s A Theatre Group, TSTM co-founders Daniel Sullivan, Judy Graham and Matthew Vire convened and christened a new name. In July 2017, the group obtained a nonprofit status. The mission is to develop and enhance collaborative theater arts in the region. 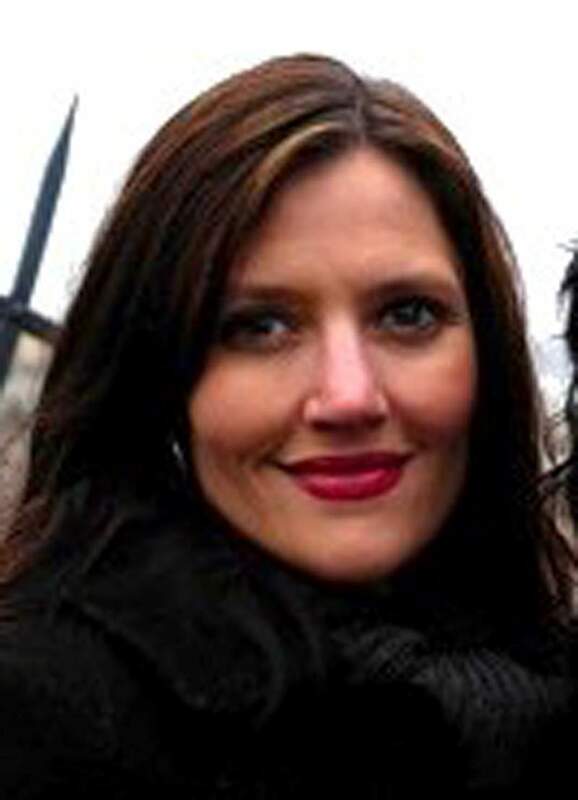 TSTM’s June event is officially titled: “Watershed Abrazos: The Silverton Theatre Mine’s 2018 Mollie Mook-Fiddler New Plays Festival.” Mook-Fiddler, a beloved friend and colleague, died of cancer late in 2016, only a few weeks before her 43rd birthday. After completing her bachelor’s degree in theater from the University of Colorado, Denver and a master’s from the University of Iowa, Mook-Fiddler pursued an acting career in New York City. She also taught a children’s theater course at Columbia University, but returned to Colorado where her passion for youth theater, new plays and community involvement blossomed. Locals may remember her stellar work at Durango High School directing Sarah Ruhl’s “Euridice” in 2011, many productions at San Juan College and a long-standing commitment to Marianne Fearn’s A Theatre Group in Silverton. When Fearn died in 2008, Mook-Fiddler took over as artistic director. Co-founder and now artistic director of TSTM, Sullivan said Mook-Fiddler’s dedication to collaborative theater inspired him and two colleagues to launch TSTM. The trio worked fast. By July 15, they obtained not-for-profit status, established a board, connected with playwrights, actors and directors who knew Mook-Fiddler and had some connection to Silverton. Sullivan spearheads the organization. Vire, an actor who met Mook-Fiddler while in graduate school in Iowa, is secretary of TSTM, and Graham, a visual artist who lives in Silverton, is treasurer. Board members come from around the country and include well-known Durangoan Leigh Meigs, a legal mediator, clinical social worker and budding playwright. It was Meigs’ play “Waterfall,” presented in 2017, that triggered the theme of this year’s festival. Ten playwrights have been invited to present scripts. Sarah Syverson, co-founder of the popular Cortez-based storytelling program Raven Narratives, has been awarded a residency. Connections have been established with the Durango Arts Center, Fort Lewis College and San Juan College. DAC Applause Music Director Lauren Berkman will direct TSTM’s Youth Playwriting program. Two of the DAC’s recent 10-minute play festival will present in Silverton. The general schedule features three or four plays per day, beginning in the afternoon. The newly revamped lower-level theater at the Grand Imperial Hotel seats 70 people, and tickets will be sold at the door. Single admission has been set at $10 per play, and a festival pass is available for $35. Mook-Fiddler’s legendary effervescence and passion for what drama could do for a community clearly continued the legacy of Fearn. Now, TSTM launches a new chapter in Silverton’s remarkable cultural history. WHERE: Grand Imperial Hotel Theater, 1219 Greene St., Silverton. WHEN: 2:30, 6:60, and 8 p.m. June 7-9. TICKETS: $10 at the door each performance, $35 festival pass, all readings access. MORE INFORMATION: For information and daily schedule, visit www.thetheatremine.org.